Ocean Grove Surf Life Saving Club Nippers have hit the ground running with impressive performances at the season’s first Life Saving Victoria carnival at Altona. 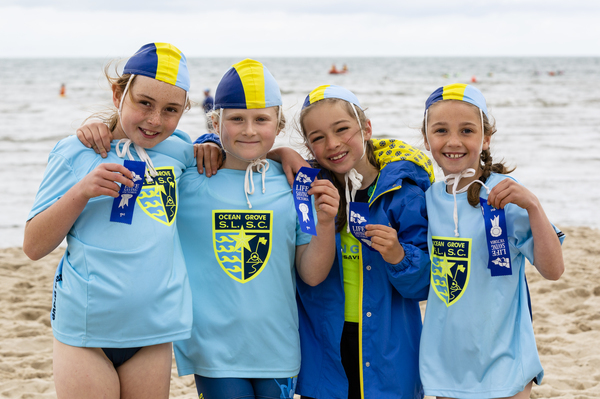 Around 86 Ocean Grove SLSC junior competitors took part at the first bay carnival for 2018/19 in Melbourne’s west despite the cooler conditions. 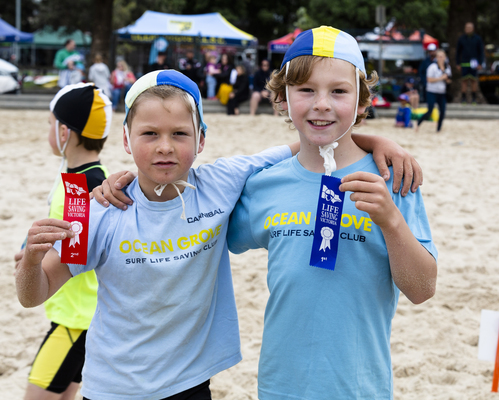 For many Nippers it was their first ever junior carnival according to Ocean Grove SLSC junior activities manager Darren Ball. 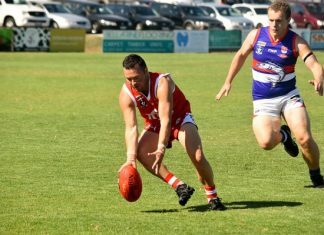 “Some of these kids at Altona it is the first time they have competed at an LSV carnival,” Ball told the Voice. “It is good experience, it is good with the atmosphere with the hype and all the people. Ball said there were fantastic team and individual results in the Under 12 Girls. “They did such a great job all day Under 12 Girls – they competed in a lot of events and they had a good group of kids that have been together for some time,” he said. The Under 12 Girls team of Emily Joyce, Matilda Richards and Sienna Stewart won the surf board relay. 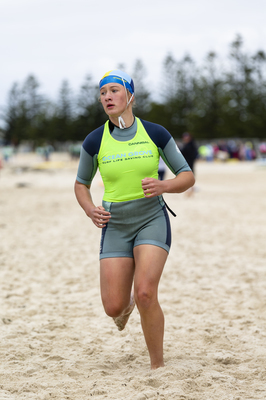 Sienna Stewart also took out the Under 12 Girls beach sprint. Ocean Grove SLSC quartet Sarah Pounder, Matilda Richards, Cookie Robinson and Sienna Stewart claimed a runner-up finish in the Under 12 Girls aqua Cameron event, while Sienna Stewart paired up with Dana Sellars to come second in the Under 12 Girls surf board rescue. Local competitor Pippi McIntrye won the Under 13 Girls sprint, while Lulu McKewan, Sharni Paranavitana, Helen Topolcsanyi and Jorgia Young claimed a runner-up finish in the Under 13 Girls aqua Cameron relay. Pippi McIntrye, Helen Topolcsanyi and Jorgia Young finished second in the Under 13 surf board relay. Equally the Ocean Grove SLSC boys produced some excellent results. The Grove pairing of Luke Bird and William Deverall won the Under 12 Boys surf rescue. The trio of Luke Bird, Williams Deverall and Sam Eales finished second in the Under 12 Boys surf board relay. James Leahy won the Under 13s Boys surf board event and teamed up with Tomas Perez Pages to claim first in the Under 13s surf board rescue. James Leahy, Tomas Perez Pages and Byron Foord came second in the Under 13 Boys surf board relay. Angus Gruar, James Leahy and Murphy Moulton and Roo Robinson came second in the Under 13s Boys aqua Cameron relay. “These group of boys they are in the Under 13s at the moment – that is a really strong group too,” Ball said. Ball said that the absence of a clubhouse at Ocean Grove SLSC posed some challenges for juniors, although he admitted its state-of-the-art Nipper trailer was a valuable resource for club when competing at state carnivals on the road. “Ideally it would be nice to have the clubhouse,” he said. He paid tribute to OGSLSC personnel, including coaches, supportive parents and club volunteers for their valuable time spent to prepare for the first LSV carnival of 2018/19. “Nippers wouldn’t happen if it wasn’t the support of a lot of people – the parents are the main drivers behind that support, and we need our coaches,” Ball said. THE next LSV junior carnival takes place at Mount Martha on Sunday 15 December.